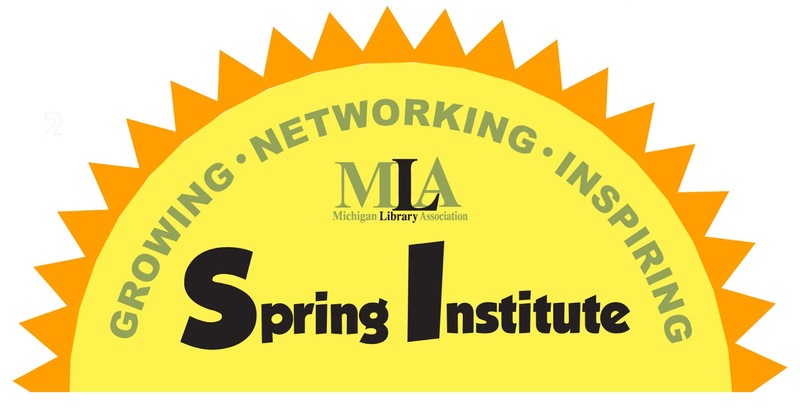 On Friday, Sara, Anna, and I presented "The Time-Crunch Librarian: Low-Cost, High-Yield Programming to Save your Sanity" at the Michigan Library Association's Spring Institute Conference. During our presentation, we collected index cards with attendees' favorite current programs from their libraries. We also brought some random junk that we had out to see what kind of programs they might inspire. I promised to collect all of the suggestions into one post, which you are currently reading. I can't really elaborate on any of the ideas, as all I have to go on are what people wrote down, sorry! I added some notes in italics. Scavenger Hunt (Packet of 10 clues that take participants around the entire library. Encouraged to work as a family/small group. Done during the 4th of July week as a passive/stealth program. Find community folks with special talent to come in. We've had a lady with an accordion and great singing voice, an alligator rescue farm, a storyteller, the fire department. The instructions for this activity said to pretend you had an unlimited supply of the given item.